Paella Chef Showdown at Mercat a la Planxa! First we found out about the Quick Fire Competition Series with star chefs from Perennial Virant (Paul Virant) and The Bristol (Chris Pandel) going head to head with barbecue. 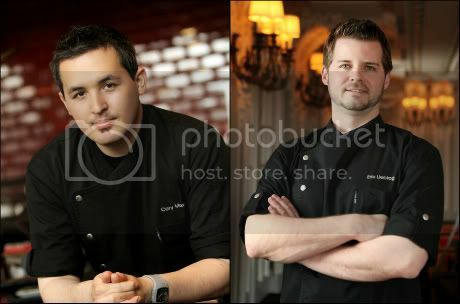 And today comes word that two more local chefs are going at it. This time it's with paella, and it's going down at 6pm August 25 at Mercat a la Planxa. Cheers! Today Is National Daiquiri Day . 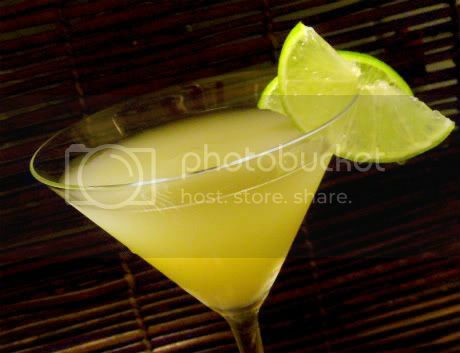 . .
A picture perfect Daiquiri via BeingLatino.wordpress.com. It's been rumored that the Daiquiri originated in the small town of Daiquiri on the east coast of Cuba. Oak Park native Ernest Hemingway brought the cocktail to infamy during his travels there in the 1930s, and on some classic menus you'll even find the Hemingway Daiquiri. It's made of White Rum, Lime, Grapefruit, Maraschino Liqueur and Cane Syrup.